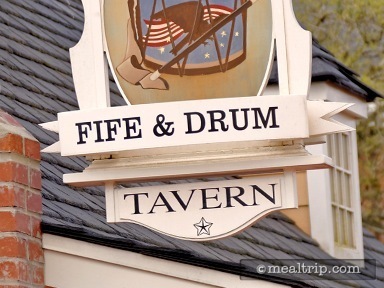 The Fife & Drum Tavern listing is a Kiosk or Cart dining location at Epcot featuring American cuisine. There are 3 photos in the Mealtrip photo gallery for this location and dining period. 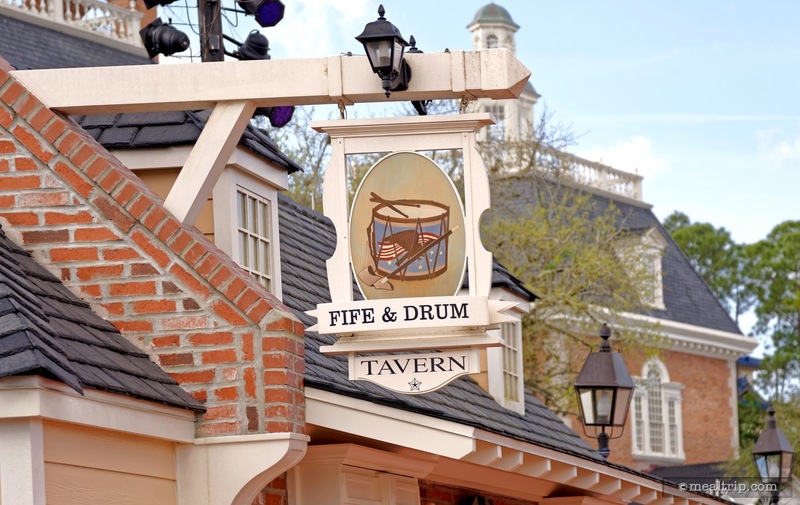 The Fife & Drum Tavern listing currently has a score of out of 100. Click here to read all of the reviews for this location, or log in to Mealtrip.com to add your own review for Fife & Drum Tavern. 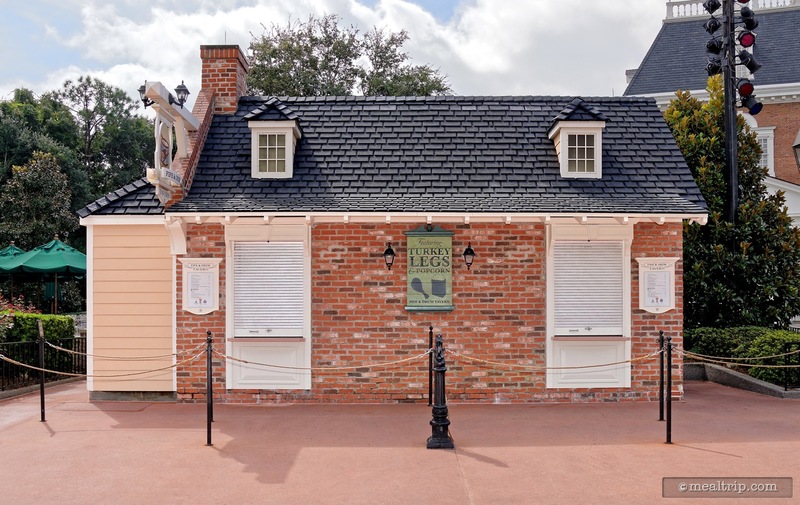 The Fife and Drum "Tavern" (in this case, is really a kiosk only, offering no actual tavern-style seating), sign hangs just above the location. The Fife & Drum booth is located on the main walkway around World Showplace Lagoon. Facing south, the booth is located to the left of the pavilion. 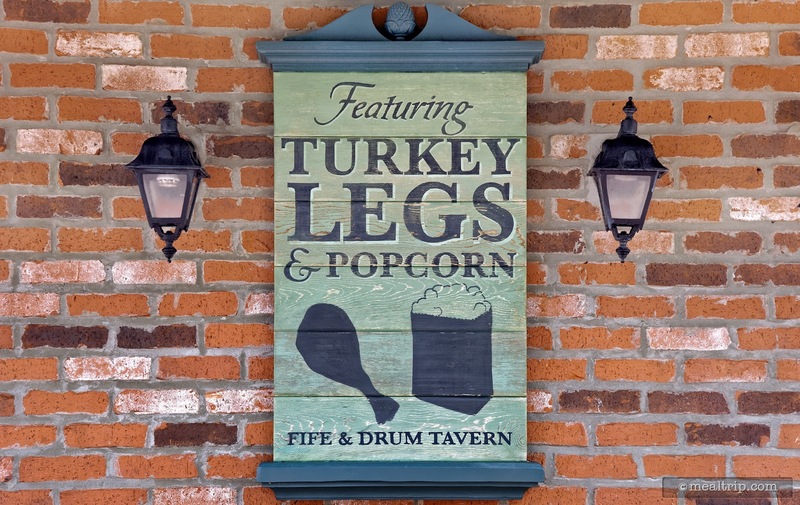 A close up of the "Turkey Leg & Popcorn" sign at the Fife & Drum.